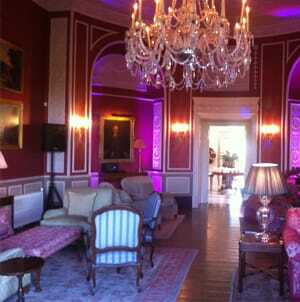 PA and lighting hire for Weddings. We have a wide range of hire equipment available for weddings, whether you are looking for battery operated system to say your vows outside, looking to install moodlighting to match your wedding colour theme or a DJ system for special DJ guests. From small portable out door hires to large scale events hires, we have a range of hire equipment to suit all events and budgets. 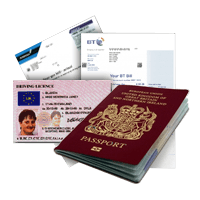 With our own in house PAT testing equipment and Service Department, we can insure that when we hire equipment, your rental is to manufacturers specification and not on it's last legs! With the weather on your side, holding the ceremony ouside can be the finishing touch to any wedding. We have a range of wireless battery operated PA systems available, perfect for vocal reinforcement for 30-120 guests. 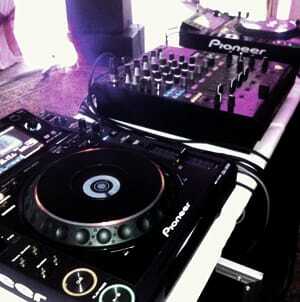 We can provide PA systems for all aspects of your wedding. This includes basic systems for the vows; wedding speeches; background music; music for walking down the isle; after party music etc. 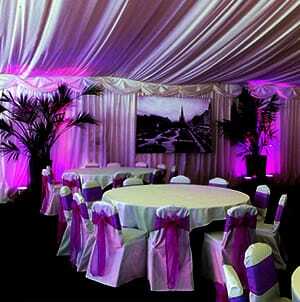 Let us know your sound requirements and we will ensure everything is perfect on the day! We can help put transfer your vision to your venue. All of our equipment is PAT tested. With the current trend of guest DJ's for weddings. Be it friends, family or ibiza DJ's we can provide the latest "industry standard" club DJ equipment to ensure your DJ's can play. 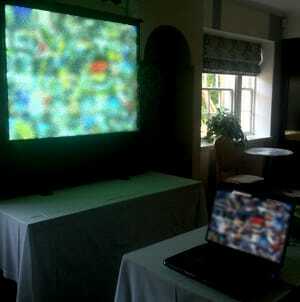 We can provide mutimedia solutions for speeches involving video / skype link / powerpoint presentations. With a wide range of Projectors and Monitors, we can help provide the correct solution for your wedding venue. We can provide festoon solutions for your venue. Let us know your idea's and locations and we will make it happen for you. These systems have been created with clear vocals in mind. Using high quality professional audio equipment to ensure your speeches are heard. The speakers that are compact in size, so they are not over-powering asthetically while still offering great vocal reproduction. Using a professional compact audio mixer with the industry standard shure PG58 hand held radio mic, your speeches will be heard with the clarity they deserve. These speakers may be used for music accompanying the bride down the aisle, or for light background music during the meal. 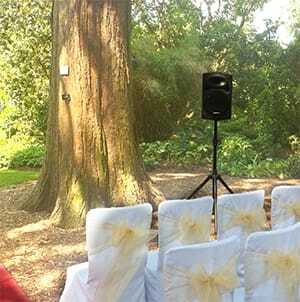 These Wedding PA systems are offered on a 2 day hire rate (inclusive of a 50% discount on the second day). Allowing collection the day before the wedding, returning the day after. 1x Sure PG58 Radio mic. For up to 50 people. For up to 100 people. These should not be used for trying to have a party, a disco, or a band play. Overdriving these systems will damage them.you are responsible for any repair/ replacement of goods damaged while on hire. These systems have been created for venues where the wedding ceremony is outdoors and power is on an option. Allowing the vows to be heard by your guests. These systems are battery powered with 3-8hours life.  These systems work with the microphone wirelessly meaning no cables are required. If you wish to use this system for providing music while the bride walks down the aisle, the speakers must be linked using a cable. If this is required please ask us to provide a ipod audio link. These should not be used for trying to have a party, a disco, or a band play. Overdriving these systems will damage them.you are resopnisble for any repair/ replacement of goods damaged while on hire.